Mr. Emmanuel Gohil (brother of Rev. Shantilal Gohil & Pastor Simon Gohil) passed away on November 24, 2018. Mr. Emmanuel Gohil, (brother of Rev. Shantilal Gohil & Pastor Simon Gohil) slept in the Lord on Saturday, November 24, 2018 at 1:50AM in California, USA. He is survived by his wife Saraben, sons Nimrod, Christopher and grandchildren. Please pray for the Gohil family and many others affected by his passing away. May God grant solace and comfort to the members of bereaved families at this difficult time in their life. 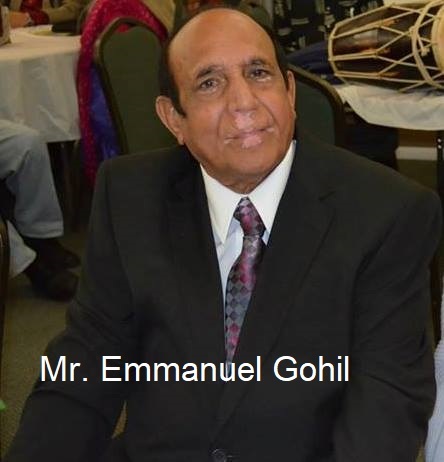 Here are the funeral details of Mr. Emmanuel Gohil.